This lunch explores the nature and behaviour of risk using Bow Tie Analysis, a simple but powerful technique in mapping risk. 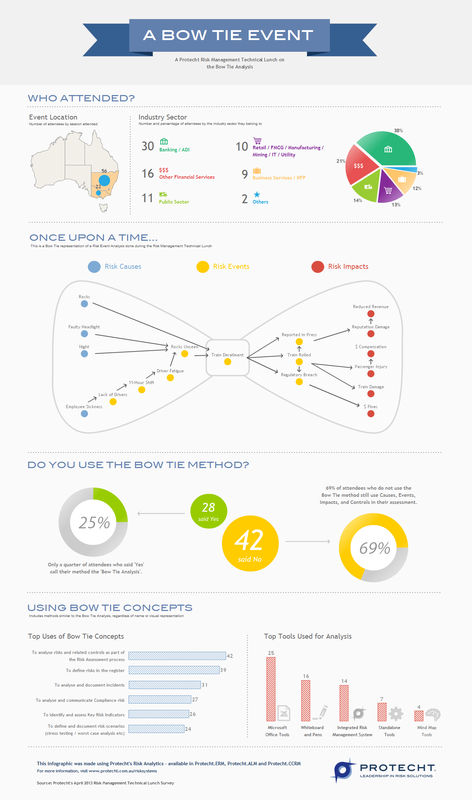 The results show that most organisations use elements of Bow Tie Analysis in their risk management approaches, but that comparatively few use the Bow Tie as a metaphor. Comments on the day suggest that a large number of attendees saw value in representing their risks in this way. Get in touch with our consultants today to find out more about the Bow Tie Analysis or Protecht's Risk Analytics.